I have added slight twist on the classic Mauritian snack Gateaux Piment (chilli cakes) by adding salt fish. These spicy little balls are packed full of flavour and great served with a coriander chutney. Following the success of my first Supper Club, I'm now doing it all over again with two new dates added in November. Following the success of my first Supper Club, I'm now doing it all over again with two new dates added in November. 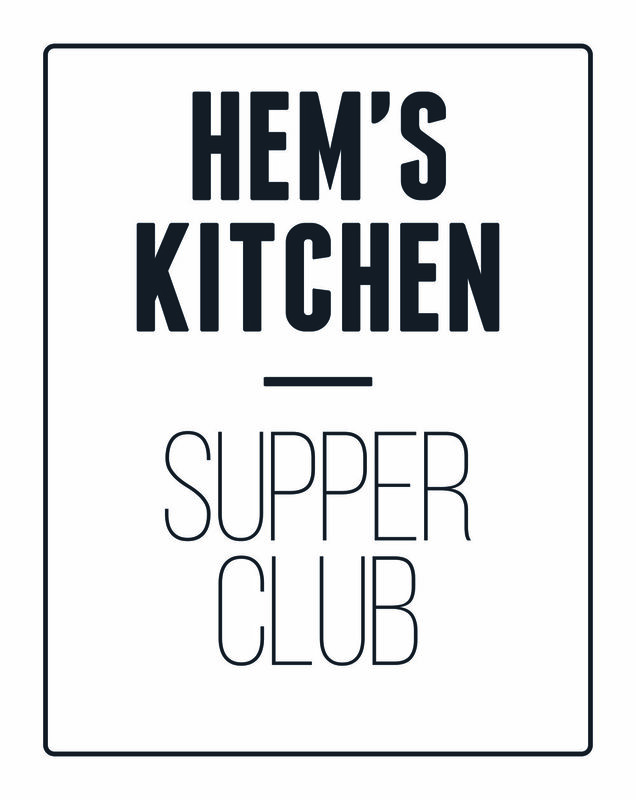 So, if you missed out on the last Hem's Kitchen Supper Club, here's your second chance to snap up a seat at the table. But be quick, the last Supper Club sold out within 48 hours. This time I'll be serving my Asian influenced four-course menu at a venue that fills me with a whole load of special memories, especially when it comes to big feasts...my Nanny and Grandpa's house. Dinner will begin at 7pm with a welcome drink and snack, so please arrive promptly and hungry! The evening will be fun, relaxed and a great way to meet new people. My menu is for foodies who eat everything, so I'm afraid I don't cater to allergies. Feel free to contact me if you are unsure about any of the ingredients. The contribution for the evening is £37.50 to cover ingredients and preparation, and is also BYOB. I will provide filtered water for the table but please bring your own soft drinks. As there is limited fridge space, please try and bring your drinks chilled. This event is limited to eight diners and a seat at the dinner table will only be guaranteed upon receipt of the supper club contribution. House rules: shoes off at the door and no smoking! Cancellations: as my ingredients are bought and prepared for the exact number of bookings, I will need at least 72 hours notice for any cancellations. You can always ask a friend to take your place at the table. If not, I will of course try to fill your place, however if a replacement cannot be found then I will retain 25% of the contribution to cover food costs. Hello London Pals. It may be hump day but I have some exciting news for you! I will be hosting my first Supper Club this October. If you are interested in sampling some of my tasty food then pop me an email to be notified when spaces are released. Well here it is, my mango and ginger cheesecake recipe!